I made a couple easy DIY decorations for the pre-wedding parties and I thought I'd share them. 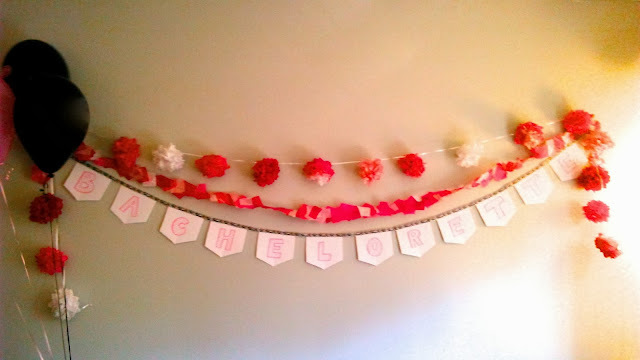 For the bachelorette party, I made the pom garland and tissue scrap streamer. 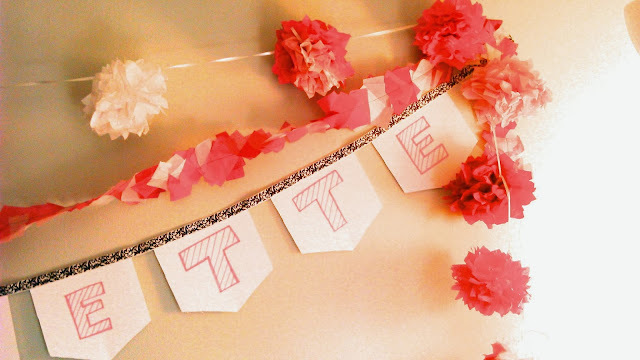 For the shower, I made the photo bunting. I forgot to take pictures when I was finished, so these are just some quick phone pictures. These are pretty common. I knew how to do the larger tissue poms, so I just made them smaller poms. This is super easy and pretty quick. I don't recall seeing these anywhere before, but I've seen similar things for sewing paper together for table runners. I wanted to display old wedding photos of the parents and grandparents of the bride and groom so I thought this would be easy and cost effective. 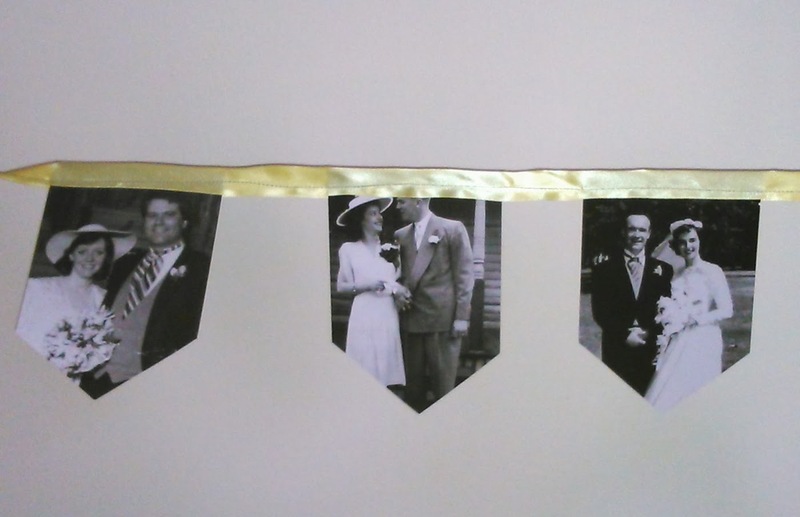 I just eyeballed adding the photos to the ribbon. I also folded the ribbon in half when sewing. If I was making this again, I would just use a thinner ribbon and not fold over.